What do people crave in a smartphone? High quality without breaking the bank -- with the bells and whistles that make for a premium device and experience. A battery that goes the distance. Photographer-quality camera. Striking screen resolution and display. After conducting our Global Mobile Value Index survey, that’s what nearly 12,000 adults in nine countries told us they consider premium in a smartphone. Lenovo, through its Subsidiary, Motorola Mobility, launched worldwide the next generation of Moto G.
And while many of you are not looking to spend an arm and a leg simply because you’re buying a new phone, smartphone users we surveyed will put their money where their mouth is. A majority of people around the world are willing to pay more for the premium smartphone features they value most: 76 percent will pay more for a phone with a battery that can keep up with their busy lives and 66 percent will pay up for an enhanced camera to capture life’s picturesque moments. Yet it doesn’t have to be this way. 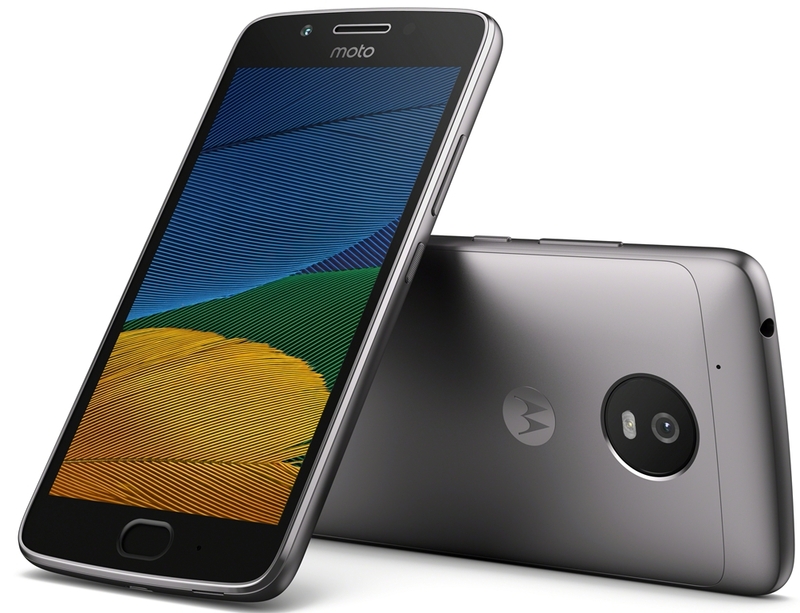 Enter Moto G5 and Moto G5 Plus-- the fifth generation of the Moto G family. Once again, we’re offering premium features for all. And this time, it comes with a metal design and striking new look. Power, value and now beauty. An unexpected combination, because different is better. You won’t have to compromise on style, performance or price with our fifth-generation Moto G, the first with a head-turning, metal design that looks as great as it performs. Available in Lunar Gray or Fine Gold, it’s easy to fall for its stunning good looks. The sleek, aluminum design speaks to user preferences: between plastic, metal and glass, 48 percent of people prefer smartphones made of metal. With an all-day 2800 mAh battery, you can go from morning to night without needing to charge. When it’s time to power up, never slow down. The 10W rapid charger gives your Moto G5 hours of power in just minutes.2 Speaking of speed, the powerful 1.4 GHz octa-core processor gives you fast access to photos, apps and everything in between -- no annoying stutter or lag time.2 Locking your phone to keep your information secure, or unlocking to access your favorite app is also easier than ever with a simple touch of the fingerprint reader. Need stunning photos for social media? A phone with a high-quality camera is important to many of us. Moto G5 delivers with a 13MP camera and software such as phase detection autofocus (PDAF), enabling fast focus for sharper photos. Sit back and watch the “likes” roll in. 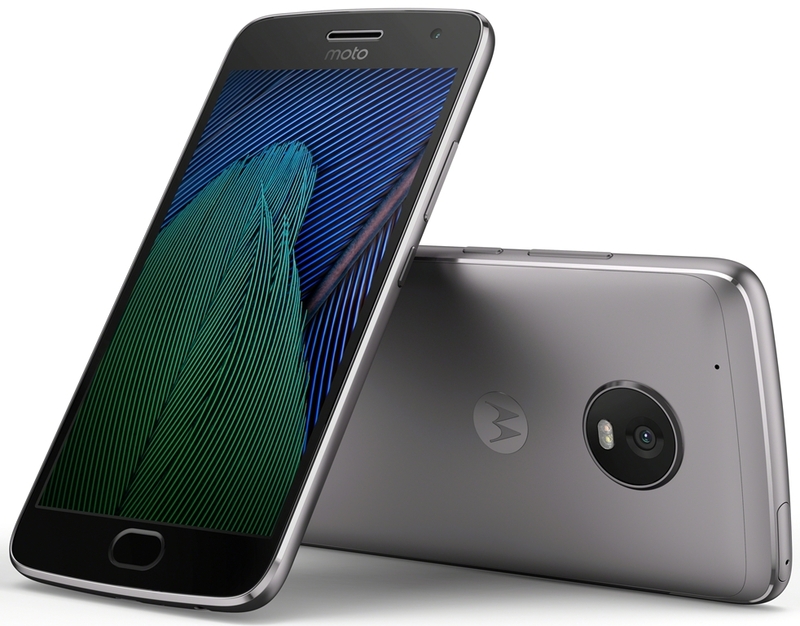 The New Moto G5 Plus -- Captivating Design. Unlimited Performance. For all of the above features and more, turn your attention to Moto G5 Plus. With even faster speeds and the most advanced camera in its class, get everything you need without compromise. With precision craftsmanship and sleek metal design, Moto G5 Plus is both beautiful and durable. When’s the last time half the world agreed on something? Talking about smartphone cameras, that’s when. Fifty percent of survey respondents agree they want a camera that delivers outstanding photos in their future smartphone. Moto G5 Plus gives you the most advanced 12MP camera in its class. The first Moto G5 Plus with Dual Autofocus Pixels, it locks onto the target in the blink of an eye so you never miss a shot. By utilizing 10x more pixels on the sensor, you can focus on your subject up to 60 percent faster than Moto G4 Plus. Sitting in the dark? We’ve got you covered there too, thanks to a large f/1.7 aperture and bigger pixels, which let in more light. A phone that can keep up: people we surveyed around the world consistently noted the need for more battery life. In fact, 1 in 4 people globally are willing to pay over 20 percent more for a smartphone with a good battery. But with Moto G5 Plus, we made sure battery was king. Free yourself with a 3000 mAh all-day battery and fuel up fast with TurboPower™ charging -- up to six hours of battery life in just 15 minutes. Rest assured that Moto G5 Plus can keep up with your busiest days. Moto G5 Plus’ 2.0 GHz octa-core processor and 4G LTE keeps your life smooth sailing… or at the very least, your apps. Enjoy quality playback of your favorite games and videos, and browse the web or stream music at lightning-fast speed, wherever you are. Forty-eight percent of people want a smarter display - with a phone that knows them better and discreetly sends notifications. Moto Display -- one of our most popular Moto Experiences -- does just this, letting you preview notifications without unlocking your phone. Want more Moto Experiences? Moto G5 Plus also includes Moto Actions and a new experience: One Button Nav, which lets you quickly navigate through screens using the fingerprint reader. More than half of people around the world tell us they didn’t know they wanted many of the features available on their smartphones -- but now they can’t live without them. We get it. That’s how we feel about Moto Experiences, too.